The treasurer of the Sudbury Symphony Orchestra announced his resignation Wednesday, but says he has left the group with a $13,000 surplus. Greg Babij had been the organization's treasurer for 16 years. In that time, Babij said, helping direct an arts group in Sudbury has not been easy. "To have arts today is difficult, it's very costly, and we've done everything we can to keep our costs down," Babij said. "Some people maybe don't want to support that, but I think arts are very important to the community. It helps to attract other talented and educated people to the community and that's what you need to have growth." Babij said it was a "very generous" $15,000 donation from an individual, coupled with a $9,500 fundraising effort during Symphony Crawl that helped set the organization on good ground. 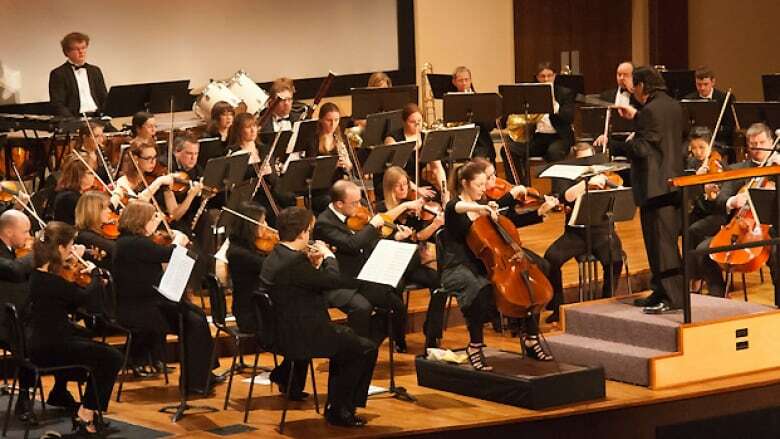 The symphony has also been able to partner with other groups — notably Cambrian College for conservatory space and Laurentian's Fraser Auditorium for performance space — to help keep costs down. In February, the group received a $52,000 grant from the city, an amount some in the community referred to as a bailout. Other arts organizations, like Theatre Cambrian and the Sudbury Theatre Centre have also applied for funding to help through economic uncertainties. "We're in good shape right now, but we're close," Babij added.